I was lucky enough to go camping this past weekend with hubby Photographer Phil. It was a perfect fall weekend, sunny and warm. We journeyed up to Killbear Provincial Park. Usually we head over to Algonquin but I decided that we should try something different. I cheated a bit. I booked us in to a site that had electricity. After all it was the fall and I knew I would be cold so I lugged along my electric blanket and a small heater for the tent. We chuckled because we had the only tent in our campground. We were surrounded by beautiful motor homes and trailers. Our site was really nice, considering I picked it from the web. It was surrounded by oak trees, and it was raining acorns! As soon as we got out of the car, we could hear them falling all around us. I’ve never seen so many! Our “anaconda” size snake slithered around into our site, at a lazy pace and stretched right out as it slithered over towards the bush beside the site. (I checked at that point for a rattle on its tail but there wasn’t one.) At one point it picked up the pace and whipped along, disappearing into the weeds beside the creek at the back of our site. Too Cool! He had to be about 3 feet long with a small head and a rather plump body. The next day we wandered over to the Visitor center with our cameras and showed the young gals working there our snake. 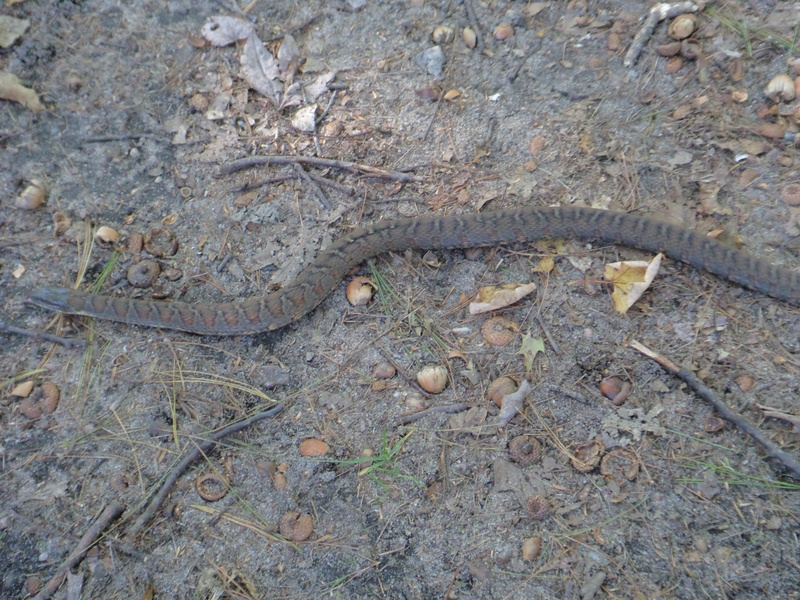 They instantly recognized it as a Northern Water Snake. 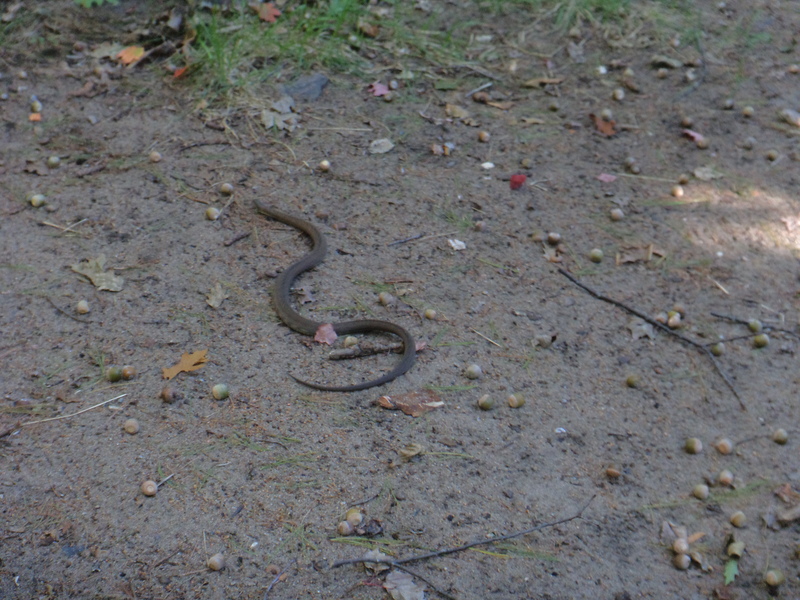 According to the web it is a pretty common snake to our area and completely harmless unless you are a frog. The actually bear their young live and feed on fish and amphibians. They are even curious and will investigate swimmers. Wouldn’t that scare the whatever out of you! Here are a few pictures from our trip. I wonder if I can get Glenis to go camping at Killbear?